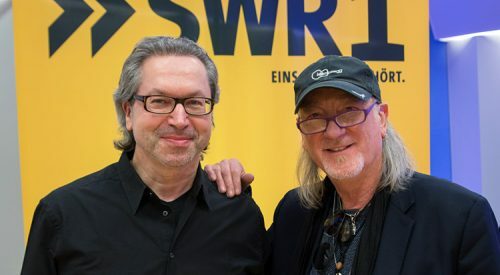 After the release of “inFinite”, the newest record of Deep Purple, BassplayerRoger Glover had time to visit german Radiostation SWR1 having an exclusive Bass2Bass-Talk with Thomas “Chuck” Tscheschner, german bassplayer and editor at SWR1 in Mainz. Head over to RGs official website for the english version of the radio interview. Posted by andreas on Sunday, October 15th, 2017, filed under Blog. You can follow comment on this post through the RSS 2.0 feed. Both comments and pings are currently closed.